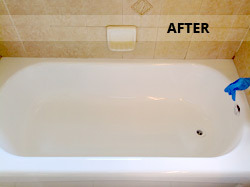 Frank's All Surface Refinishing can restore any kind of Bathtub; porcelain, fiberglass, cultured marble, or acrylic to a like new condition within a matter of hours. No matter what kind of tub you have, we will put on a hard high-gloss finish that will Restore the beauty of your Bathtub and make it look like you just bought it. Over the years of using a tub sometimes rust appears around the drain and the overflow plate. 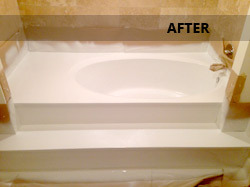 Most of the time builders and Remodelers are not aware that the Bathtub can be Restored, which eliminates the need for a costly replacement. 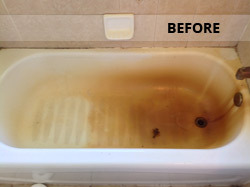 Restoring your Bathtub can Save the homeowner thousands of dollars!! 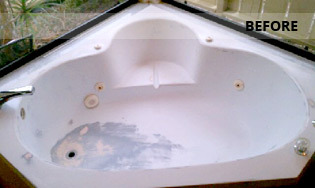 An old worn-out old looking Bathtub can be made to look new and the time it takes is only one day compared to weeks and a lot of costly repairs. 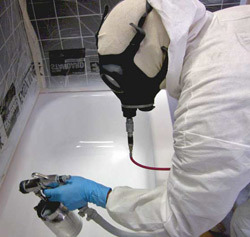 Restoring an old Bathtub requires proper experience from the technicians. Our company has a well-trained workforce that has been Restoring Bathtubs for years. 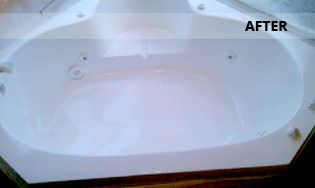 Frank Ciavarella, The owner, has over 20 years experience in the Bathtub Restoration business. He has insisted on the highest level of expertise and will only send the very best technicians to your home or business. 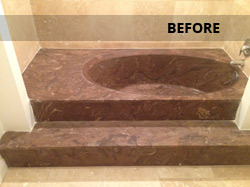 Whether your Bathtub is in total disrepair or just needs a face lift, we can Restore it to its original beauty! Restoring your Bathtub is the most economical method to revitalize your Bathroom allowing you to save your time and money. Call Frank's All Surface Refinishing. We can help you with all your Bathroom remodeling needs.